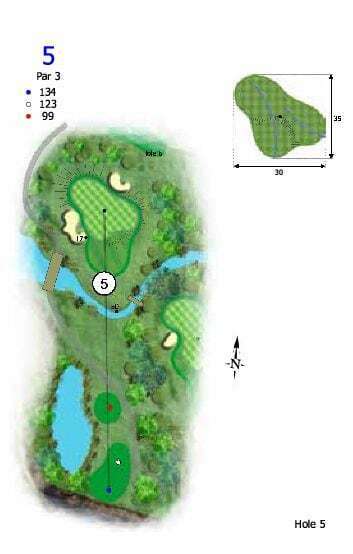 The fifth is a short par 3 with a narrow creek running across the front of a undulating green. Bunkers are located front left and one behind the green. Errant tee shots will see you faced with challenging chip and putt for par. This short par 3 is a birdie hole, attack the pin and make the putt.